Tom Hardy may play the tough guy in movies (‘Bane’ in Dark Knight Rises, ‘Max’ in Mad Max: Fury Road…) but off the celluloid, he’s as gentle as they come. Chiseled with raw talent, a brooding gaze, and expressive eyes, this actor has stamped his mark on Hollywood. 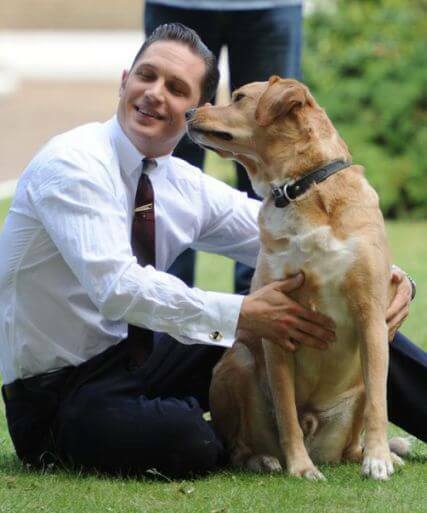 Add to it the fact that Tom Hardy is a devout dog lover and you’ve our complete man! Tom’s devotion to dogs – his own and the various others he rescues and helps re-home adds to his charm. 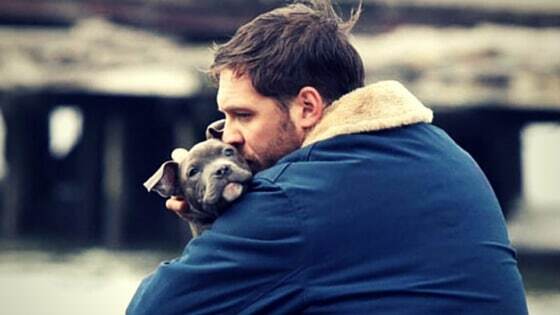 Tom Hardy believes dogs are his only friends. 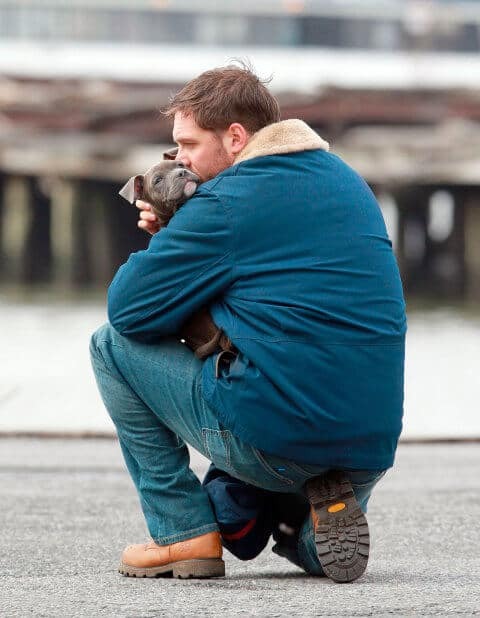 He is known to hug dogs he meets on the streets – between shoots or during his morning walks. Tom has always rescued dogs (and never ever bought one). Tom Hardy with Max, his first dog. He believes that fate had brought him together with every dog he’s ever loved, beginning with Max – the late mutt he got when he was 15. 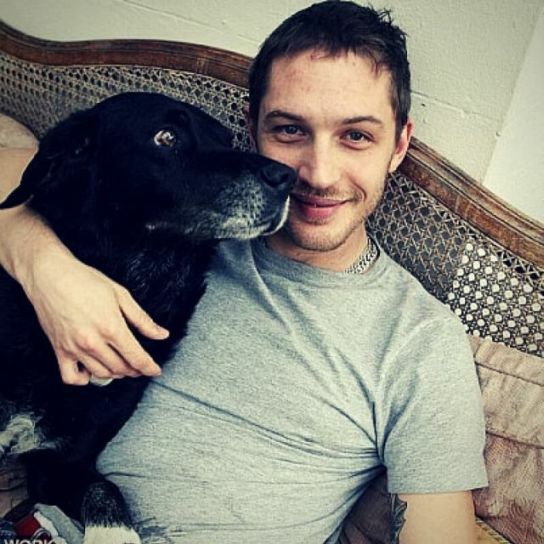 Tom Hardy has the ashes of his late dog Max on the couch at home, occupying a place Max used to love to hang out. 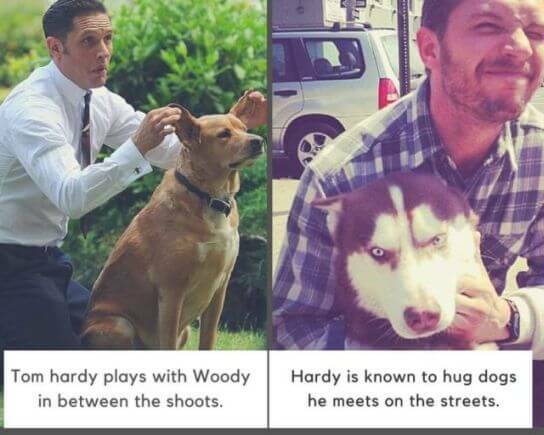 Tom found his current pet Woody in 2011 while filming Lawless in Atlanta. He spotted a homeless dog running loose on the highway. Not only did Tom saved the dog, he brought him home to London, naming him Woodstock (or Woody for short). 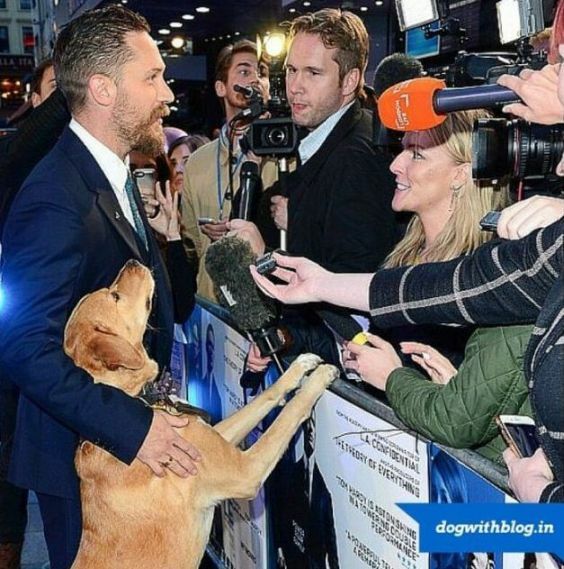 Red Carpets are where you see Hollywood’s leading men with their lady loves but for Tom Hardy, his adopted mutts take all the attention. Tom recently took Woody to the premiere of Legend. 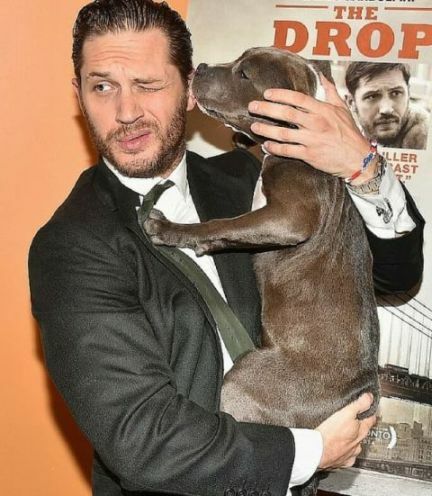 Tom Hardy with his adopted mutt Woody at the premiere of ‘Legend’. Also read, how Leonardo DiCaprio is helping save our environment and endangered species. Posted on September 8, 2015 October 9, 2018 Author Abhishek JoshiCategories Hail the hound! Previous Previous post: Because dogs are brothers too!